I’ve made mention of “line bosses” in several articles lately and someone recently commented to me that this was a new term to them. So let’s start a little dialog about line bosses. A line boss is just a line post, but of more substantial character than the rest of the line posts. The word “boss”, as a verb, means: to be domineering and authoritative. 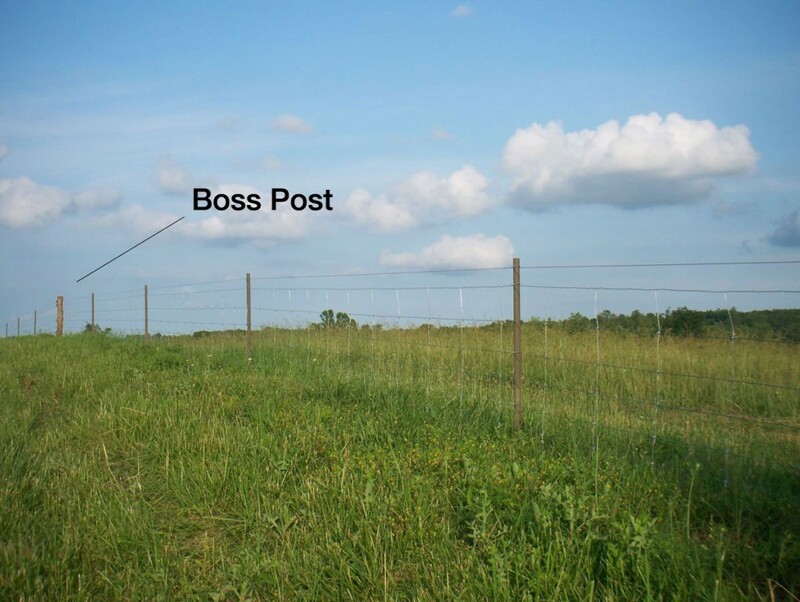 So, quite simply, a line boss is a line post that dominates or takes on more authority, thus offering more support for the rest of the line posts, and your overall fence project. As I have mentioned many times before; the main purpose of a line post for high tensile electric fencing is to support the wire and insulate it from the ground. 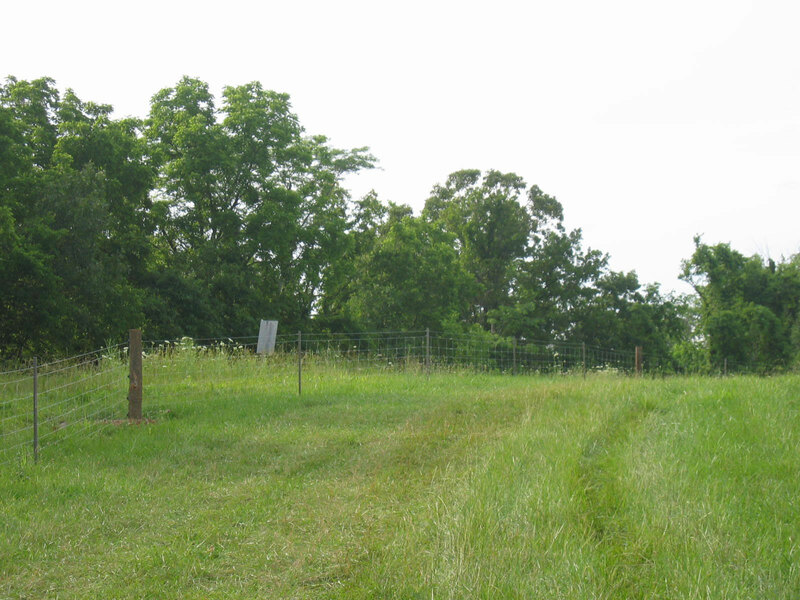 On flat or relatively gentle terrain, a line post basically stands there and holds the fence wire in place. If you did a good job of aligning your guide wire (see earlier article) then you really won’t have any horizontal or sideways pressure to deal with. But, as you build fence over ridges and through dips, you will have both downward and upward pulls to contend with and to compensate for. In the case of dips or low spots, there will be upward pulls involved and this can sometimes pull the line posts upward and possibly, out of the ground. And with ridges, there will be a downward pull, which depending on the type of line posts, can possibly either push the post further into the ground and/or bend them. Normally a Line Boss post would be a 4” to 6” wood post or something similar. It would be 4 feet into the ground and set solid. Neither upward nor downward wire pulls should affect it. It will be adding extra support for all the other line posts. They should go in at all changes in elevation and especially at ridges and dips. They may also be used at any slight transitions or slight curves in the fence line. Line bosses used at transition points in the fence line. Where the fence wire will be attached to the line boss, you can use your choice of insulator or hollow fin tube. The wire should be allowed to free travel thru this connection and should not be restricted, just like on the rest of the line posts. Additionally, line bosses may be used periodically on long runs of fence just for added security and support. They also offer some benefits as places to attach additional portable cross fencing to. In the case of heavy snow drifting or times of extreme ice storms with wind, they will probably help support heavy loads of ice. In situations of very deep snow drifts, a line boss will also aid in the stability of the fence. Regardless, using non-conductive (insulated) line posts in conjunction with line bosses will give you a secure and low maintenance electric fence system that will last a very long time. I see no discussion on the stainless steel clips. I assume they are used instead of cotter pins. Thanks for the question. Are you using a dropper system for your fences? I’ve been using the stainless steel clips for droppers on our farm projects and really like them. They hold the wire very snug against the droppers and are easy and quick to install. So far, we have not seem many customers using them which could be due to their cost [about twice the price of a cotter pin] or not being familiar with this new concept. Once I began to use them the cost became inconsequential because of the ease and speed they bring to the installation. Here’s a link to an article about building fence with droppers. If you read down through the article you will find a youtube video with hickory droppers and the use of the stainless steel spring clips. Thanks for considering PasturePro posts as part of your trellis system. You will be a pioneer in this and I can give you my best opinion but don’t have experience to fall back on to answer your questions. I think using our larger diameter posts either 1-1/2″ or 1-5/8″ posts would be the best choice. How tall do the posts need to be?